What is that thing we call “mind” in the archaeology of mind? Malafouris will argue that mind-stuff do not have fixed locations or set properties: they equally pertain to brains, bodies, and things. A neural activation pattern, a movement of the hand, a line produced on a piece of white paper: they are all mind-stuff. The suggestion he wants to make is that more often than not our ways of think-ing are better described as modes of thing-ing. To explain: thinking is usually understood as something we do about things in the absence of things. On the contrary thinging denotes the kind of thinking we do primarily with and through things. For the material engagement approach withness and throughness takes precedence over aboutness. What we call mind is a “process” constituted by the continuous recycling and re-organisation of mind-stuff, i.e., a cognitive becoming. Thinking, like form-making, exists in a state of perpetual movement. Minds never stop minding. Minds always become. This applies to every sentient organism but is especially true in the case of humans given the profound plasticity and immense variety of the material forms that we make. 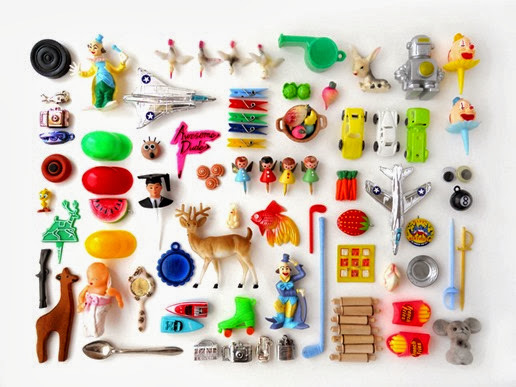 The unhelpful antinomies of mind/matter, nature/culture, and people/things now give way to a more productive focus on the ways materiality becomes entangled with our lived experience and thinking. We have a plastic mind inextricably intertwined with the plasticity of culture. Lambros Malafouris PhD (Cambridge) is a Senior Research Fellow at the Institute of Archaeology and Keble College, University of Oxford. He was a Balzan Research Fellow in Cognitive Archaeology at the McDonald Institute, University of Cambridge (2005-2008). His primary research interests lie in the archaeology of mind and the philosophy of material culture. His research expertise is at the intersection between cognitive anthropology, archaeology, philosophy of mind, and neuroscience. Dr Malafouris’ publications include How Things Shape the Mind: A Theory of Material Engagement (MIT Press, 2013); The Cognitive Life of Things: Recasting the Boundaries of the Mind (McDonald Institute Monographs, 2010, eds. with C. Renfrew); Material Agency: Towards a Non- Anthropocentric Approach (Springer, 2018, eds. with C. Knappett); and “The sapient mind: archaeology meets neuroscience,” a theme issue of Philosophical Transactions of the Royal Society of London (Volume 363, 2008, eds. with C. Renfrew and C. Frith). Dr. Malafouris is directing the European Research Council (ERC) Consolidator Grant, HANDMADE (No 771997 European Union Horizon 2020). The question of what it is we cannot know is not only an important question in its own right, but has taken on additional importance in light of the recent rise of misinformation and alternative facts. A better understanding of knowing whether something can possibly be known has the capacity to shape the direction of general knowledge, scholarly research, and public education. Furthermore, identifying what kinds of questions are unanswerable is of great intellectual and perhaps even political significance—to wit, Donald Rumsfeld’s now famous statement that “There are known knowns … there are known unknowns … and there are also unknown unknowns,” to which Fintan O’Toole added “unknown knowns.” This conference affords a rare opportunity for scholars from different fields to engage with each other and with the general public on this issue, particularly while we are living in what some might call a post-truth world. This conference will look at the many ways in which the unknowable figures in multiple areas of inquiry and scholarship. Experts from across a range of academic disciplines will discuss the criteria used to determine what appear to be unanswerable questions in their field and jointly reflect on how and why these criteria may differ across disciplines. We expect that speakers will, where appropriate, address the different ways of knowing that are possible. There are, of course, the scientific procedures that are well established, but there are also other modes of knowing associated with the humanities and the arts and these too will be discussed. At a time when the distinction between what is true and what is not has become increasingly problematic, focusing attention on how we know what we cannot know has become essential. Nicole Starosielski is Associate Professor in the Department of Media, Culture, and Communication at New York University. Her research focuses on the relationships between media, infrastructures, and their environments. Her first book, The Undersea Network (2015), charted the development of the cable systems that carry almost all transoceanic internet traffic. She is also co-editor of Signal Traffic: Critical Studies of Media Infrastructure (2015), Sustainable Media: Critical Approaches to Media and Environment (2016), and the “Elements” book series at Duke University Press. 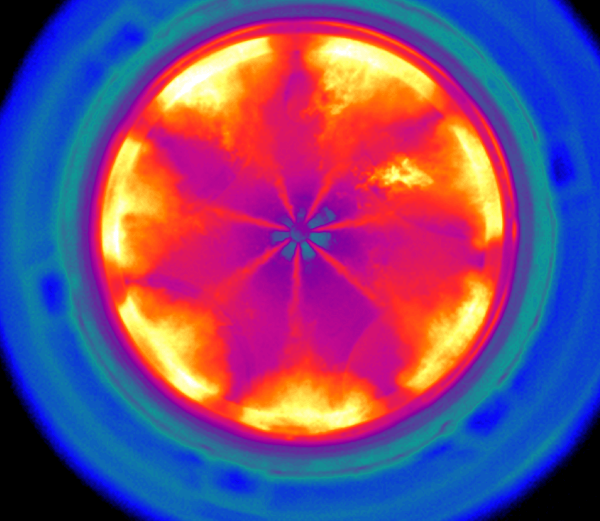 A second project in progress, Media Hot and Cold, traces the connections between media technologies, embodied perception, and temperature. Her GIDEST presentation draws from her longer project, “Media Hot and Cold,” that investigates heat and cold as modes of communication, the calibration of the human sense of thermoception, and the thermal fractures that structure everyday life. This paper takes the thermostat–the interface to a vast infrastructure of heating and cooling–as the site where subjects of temperature are formed. 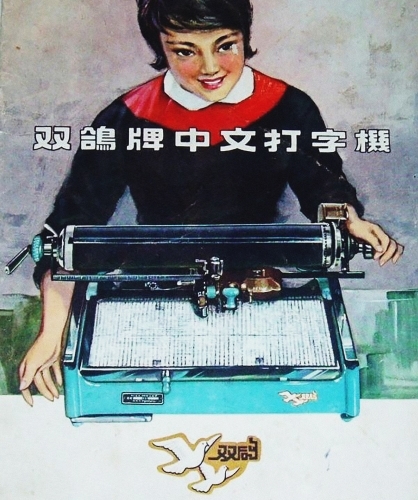 Radical Machines: Chinese in the Information Age explores the seemingly impossible, yet technologically crucial Chinese typewriter – a machine that inputs a language with no alphabet, yet has more than 70,000 characters. For centuries, written Chinese has presented fascinating and irresistible puzzles for engineers, linguists, and entrepreneurs alike. With help from the global community, China solved these puzzles, and Chinese became one of the world’s most successful languages in the information age. Radical Machines explores the design, technology, and art of Chinese characters in the information age. Through a collection of rare typewriters and computers — and a diverse array of historic photographs, telegraph code books, typing manuals, ephemera, propaganda posters, and more — we gain unprecedented insight into the still-transforming history of the world’s oldest living language. The exhibition originated at the East Asia Library of Stanford University and is curated by Stanford historian Dr. Tom Mullaney. Composed of items in his personal collection, which is the largest Chinese and Pan-Asian typewriter and information and technology (IT) collection in the world. “[In] that third chapter especially, the archive is so rich that picking which objects to focus on and treat as representative was a challenge. The Cutaneous Communication Lab (active at Princeton from 1962 to 2006) did a ton of work related to using touch communication to help those with vision and hearing impairments, a lot of it funded by the Office of Naval Research, IIRC. They generated a staggering amount of publications, I only mention a small sample, but definitely more work to be done there if you have students who are inclined toward a deeper dive…. Please feel free to share the Powerpoint–I prepared it for a session with Matt [Kirschenbaum]’s Digital Studies Colloquium at UMD, and it includes a lot from the book, in addition to a bunch of images I couldn’t get rights to/ran out of space for. The Teslasuit (a video in the middle and a few slides at the end) I think gets the closest of anything so far to Sutherland’s vision, and I’ve done some work with them on possible use cases for the device. But they’ve pivoted away from gaming apps too and are now looking at doing custom development, mostly for corporate training purposes. The video in the Powerpoint is a couple of years old, and features all dudes testing out the suit; they’ve tried to correct that image in the last year or so–but Zed, it’s definitely a question of what you pointed out about them not being able to think beyond their subjectivity. 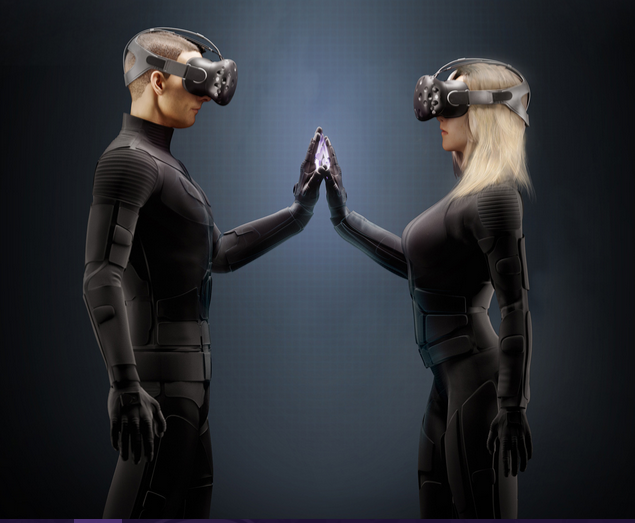 They sent me the programming software for the Suit–it’s absolutely wild and complicated and gets at the content creation challenge of haptics: the more complex the device, the more specialized labor it requires to write content for it (‘haptic effects design” is a think they’re teaching at a few places now). There has been much concern and criticism in the West over the absence of the voices of “peoples without history” in the writing of local, regional, and global histories. This concern has been especially profound insofar as it pertains to societies that did not have in the past, or that do not have today, their own traditions of written history. 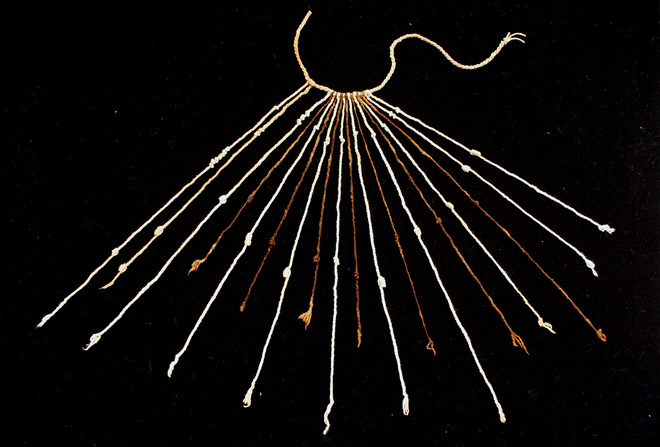 The Inkas of the Pre-Columbian Andes represent a striking case study in this regard, because, while Inka administrators had the use of an exceptionally complex and highly efficient instrument for record keeping, in the knotted-string khipu (or quipu, “knot”), we have not to date been able to draw historical information from these knotted records for writing a history of the Inka Empire. Gary Urton’s recently published book, Inka History in Knots: Reading Khipus as Primary Sources (Univ. of Texas Press, 2017), lays out a methodology for approaching khipu accounts as sources for writing Annales-style histories of the Inka state—i.e., histories based on administrative data, such as censuses, tribute records, storehouse accounts, etc. This symposium brings together eight Andean scholars to discuss and debate the question of whether or not, and if so how, we might draw on knotted cord accounts from the pre-Inka Wari, the Inka empire, and those from Andean subjects of the Spanish Colonial state in order to begin to understand how Andean peoples constructed representations of their own societies. The principal challenges will be, first, to identify the structures, physical features, organizational principles, and semiotic properties of cord accounts in these different periods in the Andean past, and second, to determine how we might draw on these constructions to begin to write histories of Andean societies based on Andean sources.